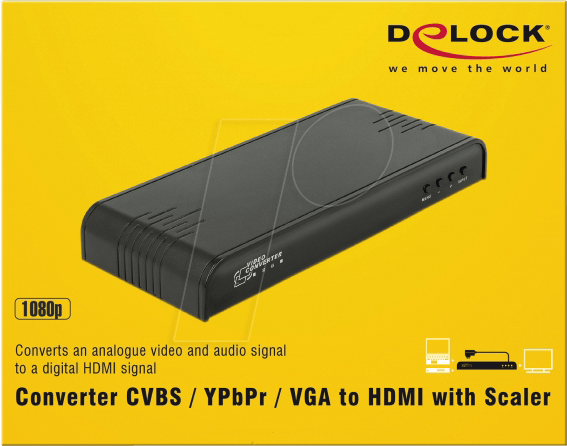 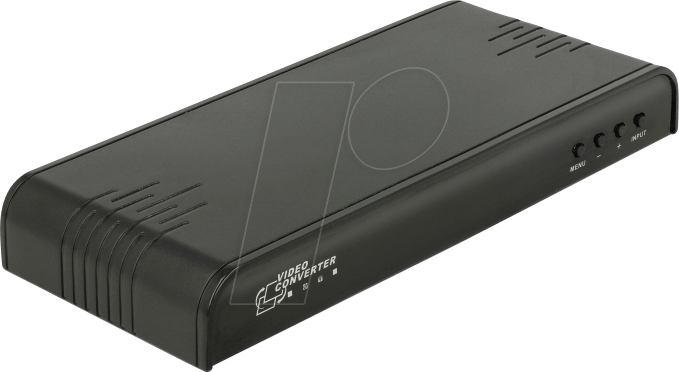 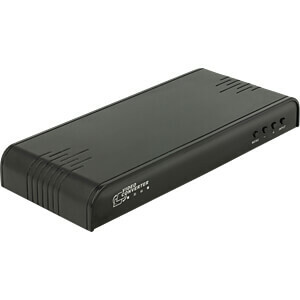 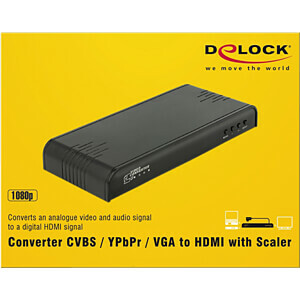 The Delock A/V converter converts an analogue video and audio signal to a digital HDMI signal. 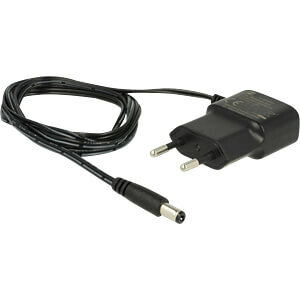 Thereby e.g. 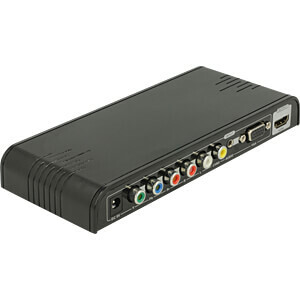 a VCR or game console can be connected to an HDMI monitor or Full HD TV. 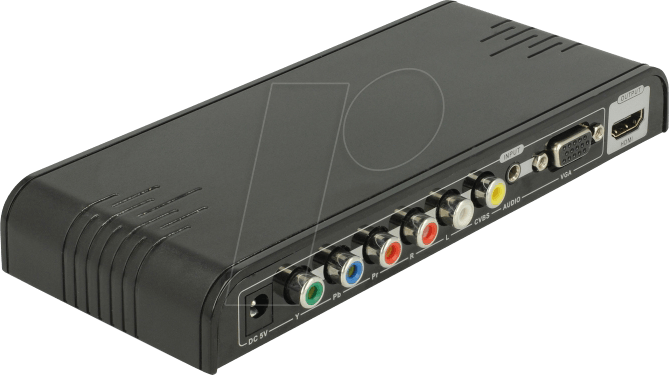 The inputs can be scaled via the integrated video processor to an HDMI output signal of 720p or 1080p with 50 or 60 Hz.